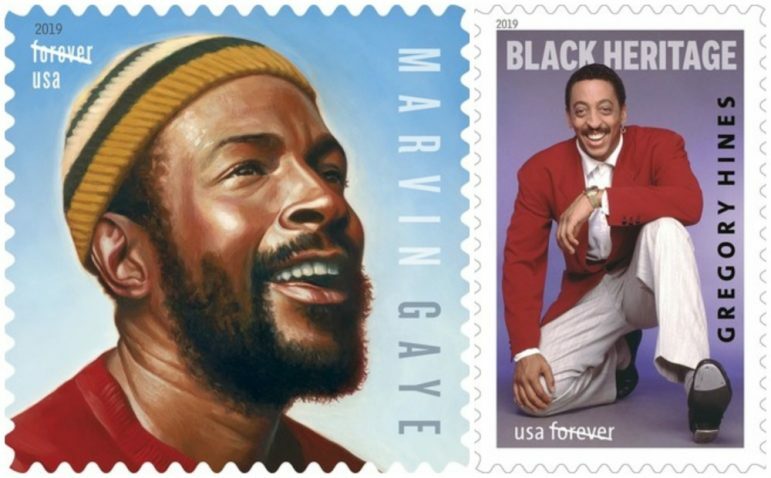 Entertainment icons Marvin Gaye and Gregory Hines will soon be honored with Forever stamps, the United States Postal Service (USPS) announced this week. The late legends will be featured among new commemorative stamps issued in 2019, continuing a USPS tradition started in 1847 of celebrating people, events, and cultural milestones that are unique to U.S. history. Exact release dates for the stamps have yet to be announced. “The miniature works of art illustrated in the 2019 stamp program offer something for everyone’s interest about American history and culture,” said U.S. Postal Service Stamp Services Executive Director Mary-Anne Penner. 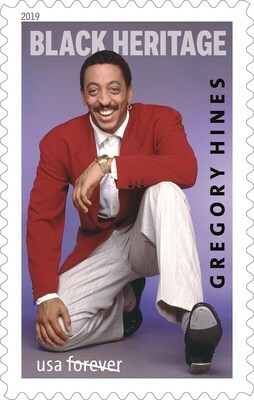 The 42nd stamp in the Black Heritage series honors Hines (1946–2003), whose unique style of tap dancing injected new artistry and excitement into a traditional American form. A versatile performer who danced, acted and sang on Broadway, on television, and in movies like Tap, Waiting to Exhale and White Knights, Hines developed the entertainment traditions of tap into an art form for a younger generation. He is credited with renewing interest in tap during the 1990s. Art director Derry Noyes designed the stamp, which features a 1988 photograph by Jack Mitchell. Gaye’s stamp is featured in the Music Icons series. The R&B crooner — best known for songs “What’s Going On,” “Let’s Get It On,” “Sexual Healing” and a slew of early Motown songs like “Heard It Through the Grapevine” — is one of the most influential singers of his generation. 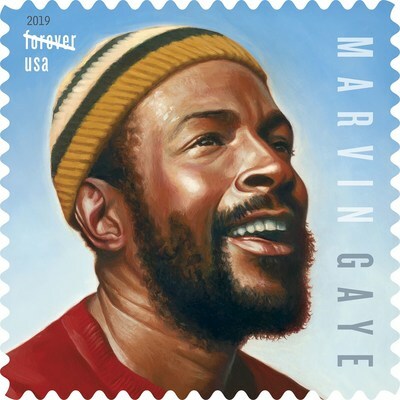 The stamp design features a portrait of Gaye inspired by historic photographs. The stamp pane is designed to resemble a vintage 45 rpm record sleeve. One side of the pane includes the stamps, brief text about Gaye’s legacy, and the image of a sliver of a record seeming to peek out the top of the sleeve. Another portrait of Gaye, also inspired by historic photographs, appears on the reverse along with the Music Icons series logo. Art director Derry Noyes designed the stamp pane with original art by Kadir Nelson. 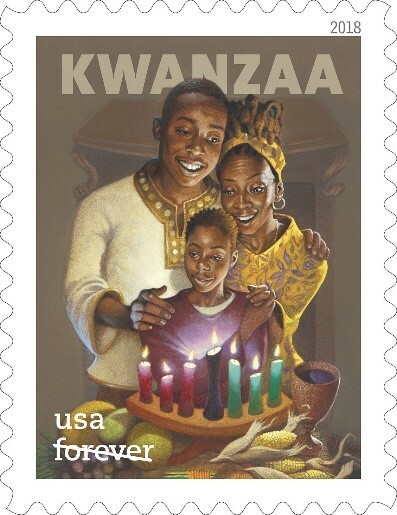 The USPS also recently unveiled this year’s Kwanzaa Forever stamp, continuing the tradition of celebrating the annual Pan-African holiday. You can order it here. Customers may purchase stamps through the Postal Store at usps.com/shop, by calling 800-STAMP24 (800-782-6724), by mail through USA Philatelic, or at a local post office.